From participating in a sweat lodge to creating their own medicine bag, UBC Dentistry students gained new cross-cultural depth and knowledge at a remote B.C. clinic. A book about John Steinbeck’s marine biologist friend inspired B.C. lawyer Myron Plett to move to Ucluelet and set up practice in this island town. Plett is one of four B.C. lawyers I profiled for the cover story “Thinking big in small communities” for the winter 2012 issue of UBC Law magazine. Pictured on the issue’s cover is another lawyer I interviewed for this feature: Theresa Arsenault, QC, based in Kelowna. Click this UBC Law winter 2012 link to read these two profiles. Why so many cavities in pre-school immigrant children? Dr. Rosamund Harrison, chair of pediatric dentistry at the University of British Columbia, does exciting cutting-edge research and clinical work in low-income and new immigrant communities in Canada. Many of UBC’s treated preschool children have a high rate of cavities. Her compassionate, hands-on work has resulted in huge improvements in dental care in groups ranging from South Asians and Vietnamese in British Columbia to Cree in remote Quebec villages. “I was delighted with the lovely article that you put together about our MI (motivational interviewing) community projects. The way that you ‘told a story’ and integrated the comments of my colleagues and friends was so well done and readable. My mother started to cry when she read your article! Click this link spring 2009 issue of Impressions magazine (page 14) and scroll down to page 14 to read my feature. These samples of my published magazine writing show the range of topics I’ve covered over the decades in Health and Lifestyle. Periodically, I add new material and more from my archives. Stay tuned. In the fall of 2008, I interviewed forensic dentist Dr. David Sweet, who runs B.O.L.D., the world’s leading forensic dentistry lab at the University of British Columbia. Sweet has pioneered many cutting-edge forensic techniques and appeared on the television show Cold Case Files. Click this link http://www.dentistry.ubc.ca/impressions/2008/fall/Impressions-Fall2008.pdf to see my Impressions magazine cover story, page 9. I share the tale of my wedding in a friend’s outdoor labyrinth, a replica of the medieval design in Chartres Cathedral, France. This feature appeared in two magazines in western Canada in 2006. Click this link West coast wedding (Sunshine Coast LIfe magazine) to read my article, with accompanying photos. Can you find a man by getting to know a horse? 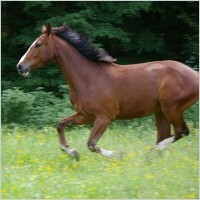 As a neophyte rider and horse-whisperer-in-training, I discovered the benefits and challenges of “Equine therapy” on assignment for Alive magazine, Canada’s national health publication, in 2004..
Click this link http://www.alive.com/1807a5a2.php to read my tongue-in-cheek feature.